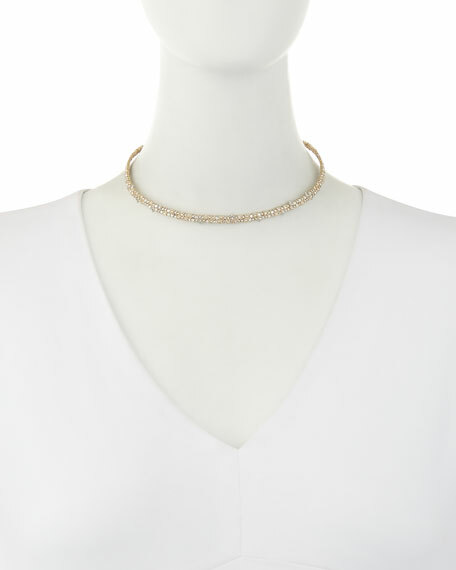 Alexis Bittar crystal spike choker necklace. 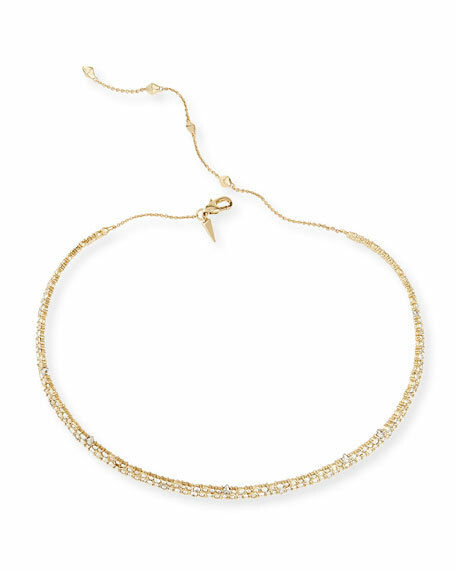 Brutalist mesh chain necklace by Alexis Bittar. Ruthenium-tone and 10-karat gold plating. Naturally-hued freshwater cultured pearls. Pyrite and pyrite doublet accents. Swarovski?? crystal pav?? details. Adjustable; lobster clasp. Approx. 18"L. Imported. Crystal sautoir tassel necklace by Alexis Bittar. Polished silvertone plating over brass hardware. Crystal beads and drop caps with fringe tassels. Single strand with round gray simulated pearls. Ample length for multiple ways to wear. Approx. 64"L. Imported.